Size: 1 sovrums- och 2 sovrumslägenheter från 38 kvm till 55 kvm. 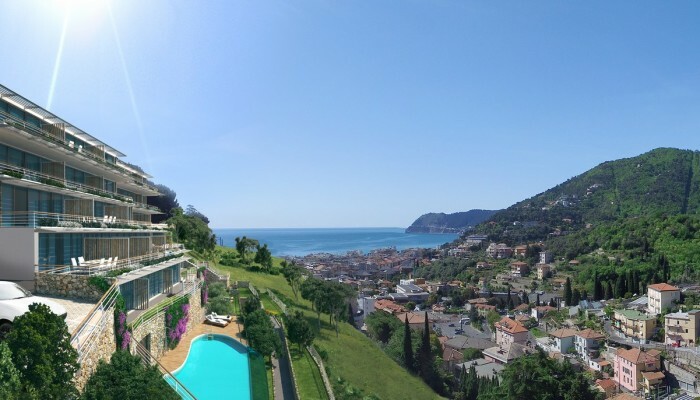 Faciliteter: Panoramautsikt över havet, Home automation, Pool med relaxadelning, gym, bastu. 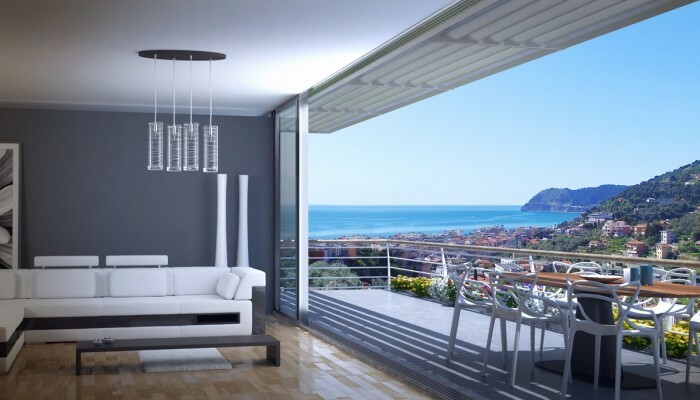 Strandplats med parasoll, stol och kabin för hela säsongen är inkluderat i priset. 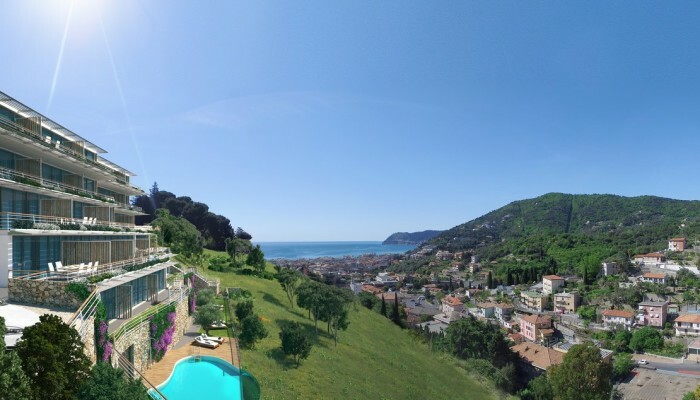 Living in Alassio means to surround yourself with ideas: the fine sand is among the most famous of the whole Riviera, the sea promenade called “budello” offer restaurants and boutiques, nightclubs and events seamlessly. 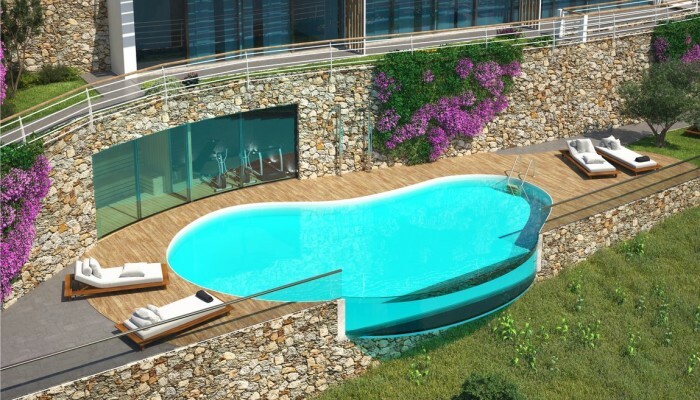 Living in this beautiful project means to profit from the large terraces and windows in full wall to contemplate the sea, and enjoy the pool, sauna and fitness area to relax. 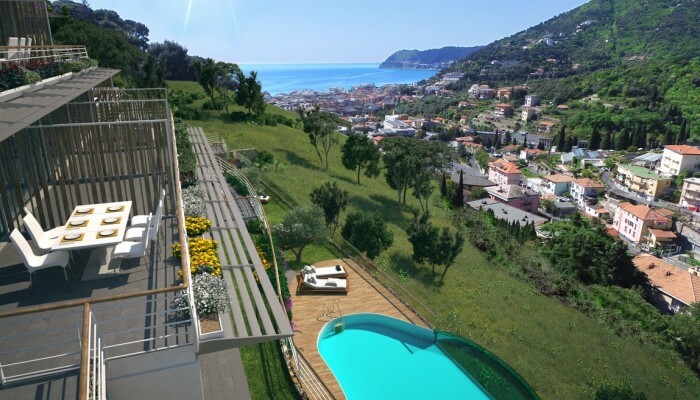 Complete sea views; light, air and green at 180 degrees. 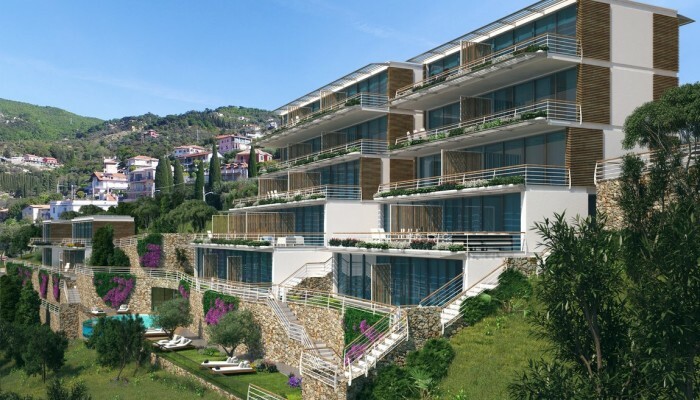 The residence has been designed to offer the greatest value for a second home: the sea view, with free spaces in front and green as only neighbor. 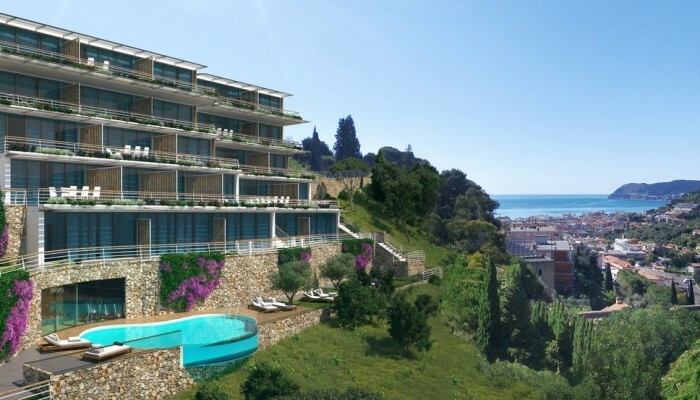 The orientation of the structure, the location of the large windows on the exposed side and the depth of large terraces reveal a very special care to leave free to the eyes every centimeter of useful space. 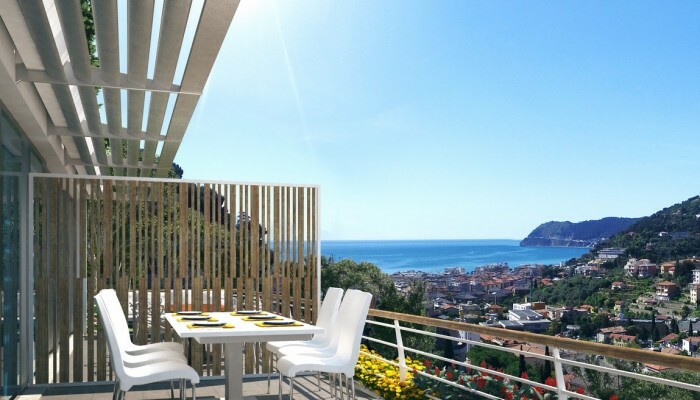 Enjoy a snack on the terrace, looking out to smell the salt air and relax with their eyes on the Gulf of Alassio and Laigueglia become snapshots of endless holidays of love toward you and the loved ones. 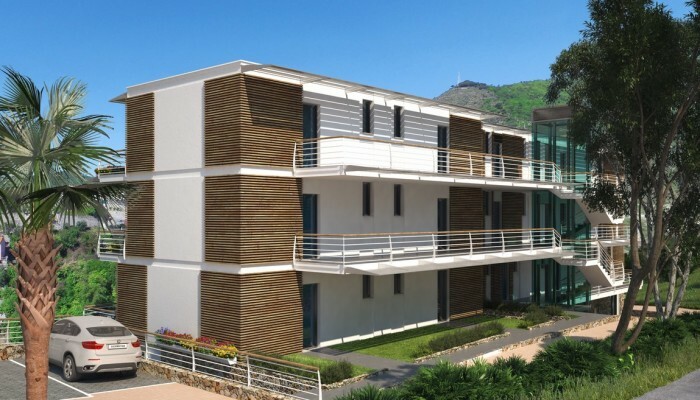 The residence is divided into two bodies, one by 25 and one by 6 units, so as to meet the most varied requirements; in common all the apartments have the use of high thermal and acoustic insulation materials, the ability to manage the climate with home automation solutions and energy certification in Class A, required to ensure the quality of life while respecting the environment. 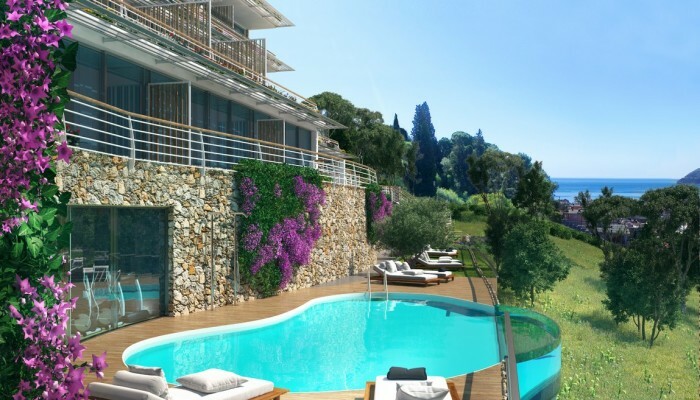 The residence offers more than one reason to enjoy your home: you can have a bath in the embossed swimming pool, with transparent floor with view over the below hill, relax in the solarium area surrounded by olive trees or engage yourself physically in the equipped gym. The end is a must, with a sauna for the highest relaxation! 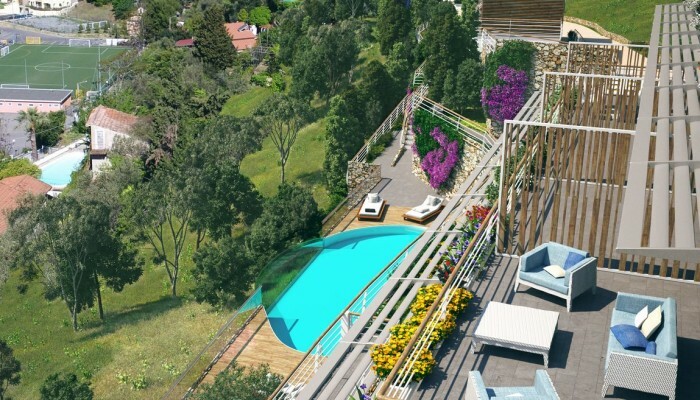 Apartments with 2 or 3 rooms, from 38 sqm up to 55 sqm with terraces and gardens. 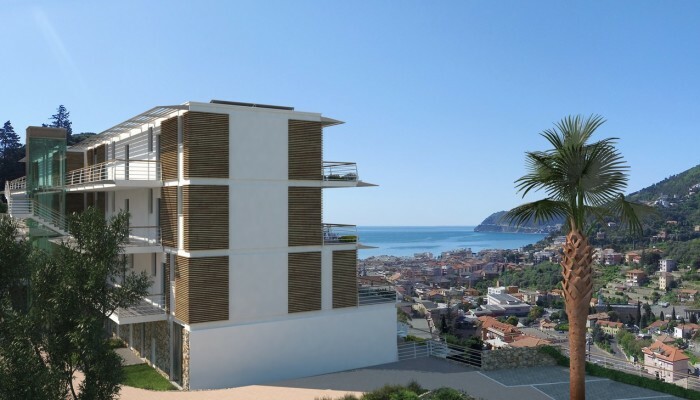 Starting from 291 800 euro. 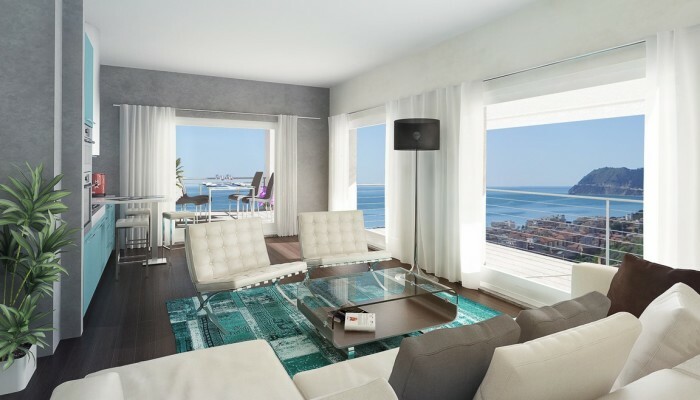 Promotion included Beach: comfortable at home, comfortable at the sea. 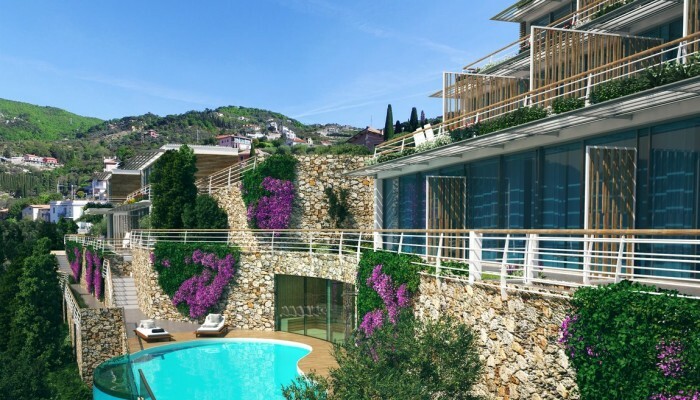 Large windows and terraces, swimming pool and wellness in common areas, green everywhere: at home you can only live well. To keep this feeling we offer you a special promotion for when you spend the day at sea: in fact, we provide you a place on the beach, cabine, umbrella and sunchair for an entire season; from home you are at sea in a few minutes, get settled without thoughts and you enjoy freely the fine golden sand of Alassio, the little restaurants on the waterfront and spectacular walk on the shoreline. 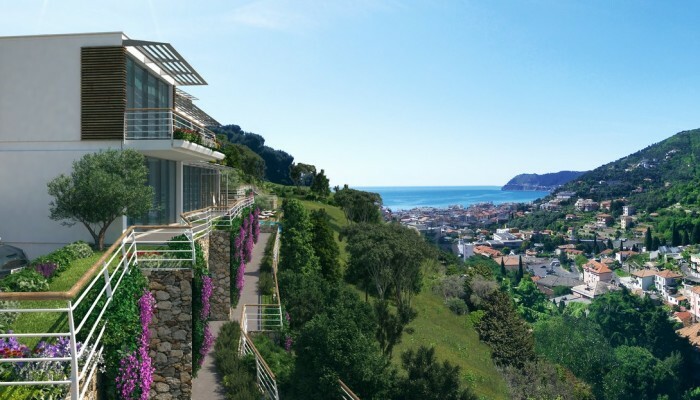 Beautiful by nature, tradition and vibrancy, Alassio is the beating heart of the Riviera di Ponente. 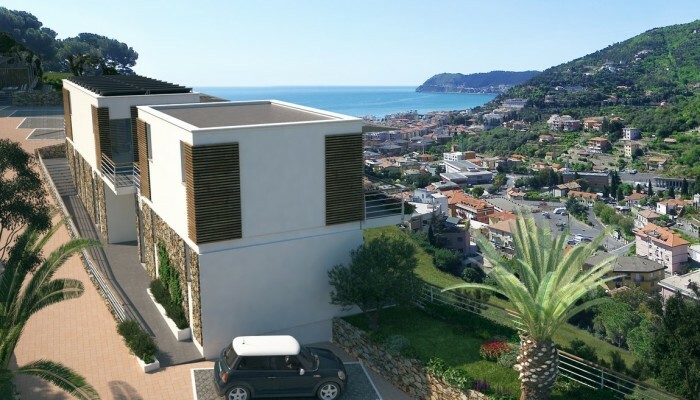 Approaching from Albenga, the beauty of the pine forest strikes and the sinuous of coast before the spectacular view of the Gulf and the island of Gallinara; coming from Andora beauty appears in the striking cliffs overhanging the sea and in the coves barely visible from the street. 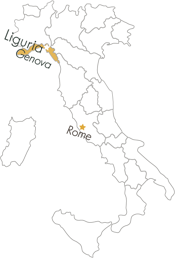 Alassio has in his name imperial origins: deriving from Adelasia, the daughter of Emperor Otto I. Protected by noble families since the Middle Ages, the country has been characterized in the subsequent periods to the need to protect themselves from the Saracens; reflecting the period remain intact today two watchtowers. For two centuries Alassio is a tourist center that attracts onlookers from all over the world, especially from the United Kingdom; its peculiarities and a considerable trade openness have brought the country to a stage equivalent to that of Portofino and Sanremo, with the birth of events related to the famous “Muretto” (wall partition). The structure is characterized by the ceramic tiles that cover it, decorated by various celebrities; the first was signed by Hemingway, regular visitor of the town. Next to the wall partition has developed the shopping tradition in the “Budello” (gut), the narrow street that runs through the city center which is home of the most prestigious boutiques, and the transition from one bar to another on the seafront, full of events and opportunities to dance, talk and taste local and international cuisine.